A program organized by The Skyscraper Museum in partnership with the Museum of American Finance. Addressing the changing fortunes of Wall Street--not the forecast of financial markets, but the architectural assets and liabilities of the physical place--our panel of experts discusses the recent history and possible futures of America's most famous street. Focusing on the widespread conversion of office buildings to residential, hotel, new retail uses, expanded tourism, and the demands on the design of the public realm that need to serve the conflicting needs of both access and security of a post-9/11 world. Carol Willis is the founder, director, and curator of The Skyscraper Museum. An architectural and urban historian, she has researched, taught, and written about the history of American city building. 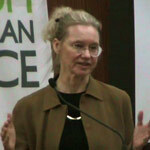 She is the author of Form Follows Finance: Skyscrapers and Skylines in New York and Chicago (Princeton Architectural Press, 1995), which received an AIA book award and was named "Best Book on North American Urbanism, 1995" by the Urban History Association. She has written introductions to several monographs and collections and has appeared in numerous television documentaries and radio broadcasts. Ms. Willis is an Adjunct Associate Professor of Urban Studies at Columbia University where since 1989 she has taught in the program The Shape of Two Cities: New York and Paris in The Graduate School of Architecture, Planning and Preservation. Elizabeth H. Berger joined the Alliance for Downtown New York--the city's largest Business Improvement District--as President in November 2007. Ms. Berger has more than thirty years of experience with state, federal and local government. An innovator in the field, she established the non-legal government relations practices at the Law Offices of Claudia Wagner; LeBoeuf, Lamb Greene & MacRae; and Lord Day & Lord Barrett Smith. She created the Department of Government and External Affairs at Lincoln Center for the Performing Arts and was a member of the Koch Administration from 1982 through 1989, including 5 years as Assistant Mayoral Representative to the New York City Council. She is an active board director of several New York City non-profit cultural and civic groups, including the Municipal Art Society, The Battery Conservancy, Second Stage Theater, the New York Building Congress, Film Forum and the American Museum of Natural History Planetarium Authority, and a mayoral appointee to the Governors Island Preservation and Education Corporation. 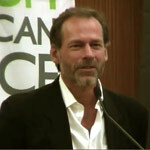 Along with Jonathan Marvel, Rob Rogers founded Rogers Marvel Architects in 1992. Based on their work at Battery Park City, the NYC Department of City Planning, the NYC Economic Development Corporation and the Lower Manhattan Development Corporation asked them to design security and streetscape enhancements for the New York Financial District, including the New York Stock Exchange. Custom-designed components for the district include a fountain in front of the Stock Exchange, "NOGO" sculptural barriers, and a shallow-foundation turntable barrier. These elements service street-level amenities such as sidewalk cafes while also functioning as high-tech security devices. Other RMA projects include the renovation of the Landmarked McCarren Pool, in Brooklyn, the Studio Museum in Harlem, the reconstruction of Pratt Institute's School of Architecture and the Dartmouth College Arts Master Plan. As President of Swig Equities, LLC, an investment and development firm, Mr. Swig has seen the company through numerous acquisitions and development projects in New York City and California. 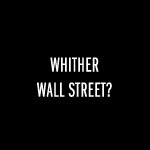 In the past decade, the company has purchased and developed a major portfolio of properties in the Financial District, including 44 and 48 Wall Street. Mr. Swig is also an owner and Co-Chairman of Terra Holdings, LLC, which owns and operates residential real estate service firms including Brown Harris Stevens, one of the oldest and largest residential real estate service providers in New York City. He is also the owner and President of Helmsley Spear, LLC, originally founded in 1866, a leader in commercial real estate focusing on third party office and retail leasing, asset and property management, and investment sales. 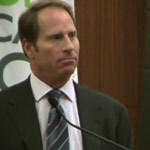 In addition, Mr. Swig is active in a number of professional, civic and philanthropic organizations including serving on the Board of Governors of the Association of Builders and Owners of New York (ABO); the Board of Directors of the Realty Foundation, the Downtown Alliance, Wall Street Rising and Business Executives for National Security (BENS). 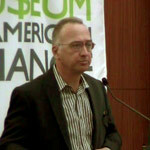 Alexandros E. Washburn, AIA is the Chief Urban Designer of the City of New York, Department of City Planning. An architect who has worked both in the private and public sector, he served as Environment and Public Works Advisor to US Senator Daniel Patrick Moynihan, then as President of the Pennsylvania Station Redevelopment Corporation, and then partner of W Architecture and Landscape Architecture LLC. From individual buildings to the most complex infrastructure projects, he judges success in urban design from the point of view of the pedestrian. In his daily work, he tries to achieve the "quantity of Robert Moses with the quality of Jane Jacobs." And for this missing link--between the human-scale and the mega-project--he turns to another great New Yorker, Fredrick Law Olmsted, designer of Central Park, for inspiration. He sees the integration of urbanity and ecology as the next great wave in city-building. Mr. Washburn is currently writing a book, The Nature of Urban Design.